This week Empowerkit announces its partnership with Localeze, the industry leader in business listing management, to provide franchises with a unique, integrated SEO and lead generation service. In addition to having content rich franchisee websites optimized for high local search results, Empowerkit’s clients can now distribute all of their franchisees’ listing information to over 125 top search engines, social media directories, and business listing sites at one time. The first client utilizing this new local SEO for franchises service is Hospitality International, which manages five franchise hotel brands with locations across the United States, Canada and Bahamas. “We knew having easy to manage local websites for our franchisees was a must, and listing management has always been a challenge. When we learned about Empowerkit, and its new listing management service, it was a perfect fit for our needs,” said Christine Bartha, Director of Marketing at Hospitality International. With Google and other top search engines increasingly emphasizing relevant local businesses in search results, it’s imperative that franchisors have a strategy to manage franchisees’ listings, to remain competitive in local search. 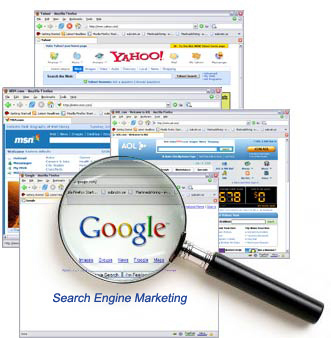 In addition, franchises that have local websites with unique content stand the best chance at ranking highly in organic, local search results, especially since search engines penalize websites for publishing duplicate content – a practice many franchises implement for their local sites. That’s why this is the perfect partnership to offer a franchise SEO marketing solution. For more information, or to schedule a demo, contact Chris Anderson: 415-512-1565 or chris@empowerkit.com. Empowerkit offers a platform enabling franchisors to easily create and manage local websites for its locations, while providing franchisees with simple tools to customize content and track key analytics. Addressing prospective franchisees’ growing need for effective local online marketing, Empowerkit serves as a powerful competitive differentiator for franchise sales & development. Empowerkit focuses on brand compliance, increasing conversion rates, and improving local search engine results, boasting unprecedented ease of use combined with a robust feature set for franchisors and franchisees to effectively manage unit level online marketing. Hospitality International, Inc. has offered inexpensive franchising alternatives for hotel owners and developers since 1982. Its five distinct brands (Red Carpet Inn, Passport Inn, Scottish Inns, Downtowner Inns, and Master Hosts Inns) offer potential franchisees a choice of franchise opportunities to best suit their particular market, geographic area and personal business needs. Hospitality International, Inc. values individuality in terms of the look and feel of each hotel franchise property, while maintaining strict “common sense” quality and service standards of franchise systems.